CHEETAHMEDIALINK Mobile advertising network details. 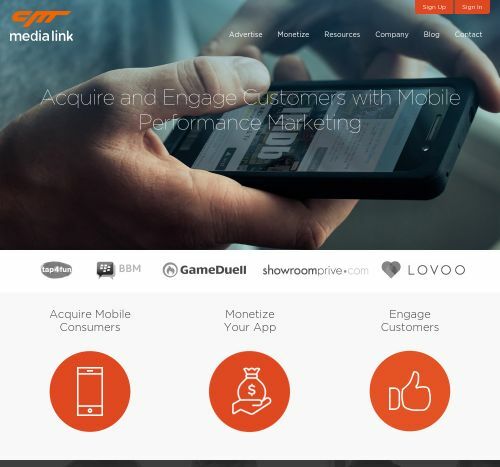 Cheetah Media Link is a French company founded in 2009 in order to become one of the most advanced mobile advertising & monetization solutions. The Team’s desire is to achieve global goals by monetizing matched campaigns and relevant ads with high CPM. Cheetah Media Link focuses on transparency when it comes to their clients and the price reports and fees are known from the beginning. Their banners are designed and optimized to fit every screen format and the Cheetah Media Link platform interface is intuitive so that every client can achieve the perfect campaign for their website needs. If you want to find out more about Cheetah Media Link, reach the Information section provided by Affbank. Also, don’t forget to get back on Affbank to leave your review after you register in the Cheetah Media Link platform.